A Sheffield man is due to stand trial accused of modern slavery offences, after he denied the charges during a court hearing held today. 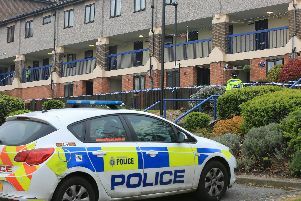 Shafiq Uddin, of Pye Bank Road, Burngreave entered not guilty pleas to all four charges when he appeared at Sheffield Magistrates' Court this morning. The 46-year-old is accused of one count of arranging or facilitating travel of another person with a view to exploitation, of one count of requiring a person to perform forced or compulsory labour and of two counts of fraud by false representation. The case is listed for a trial at Sheffield Crown Court on July 3 this year. Magistrates granted Uddin bail until his next court appearance.